Graduation is around the corner. For most, it simply means moving up to the next grade. For many, it means graduating high school, or college, and moving on to a new school or their first job, respectively. I can't believe that I (nearly) and my friends have college-age kids. I know everyone who experiences it feels the very same way ... where did the time go? As much as I would like to lock myself in a dark room and watch old movies and look at old pictures, we must face the facts. The only option we have is to celebrate their accomplishment and keep moving forward. In this week's Loupe, we explore some gifts to celebrate the process of moving on! College is a time of new experiences. For many, it will be their first time that they are truly on their own, without much adult supervision. With this great responsibility comes the reality of losing the creature comforts of home! At most schools, Freshmen are forced into community living, aka dorms. I have visited many recently, and they are, let's face it, dingy and gross. They need both hot and cold air flow to supplement the inadequate dorm systems and disperse the college smells (do I need to elaborate here?). 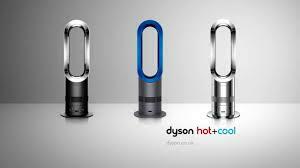 The Dyson system is not only attractive but also highly useful. Amazingly, there are no blades! It makes the perfect gift for anyone off to college! The first thing to do when you get to school is to make some lifelong friends, so you better choose wisely! This means take out your earbuds, get out there, and meet people. Sure you can head to the dining room, local watering hole, or other social activity. How about you break out the cards and break the ice! This game cuts through everything and allows you to simultaneously offend and defend your new found friends. 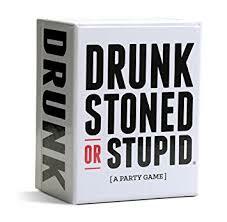 The more the merrier in this hilarious game that asks which of the participating gamers is most likely to do something outrageous (ummmm, me). One need look no further than the Spotify IPO to realize that people love their music and are (finally) willing to pay for it! That goes for video and all forms of personal entertainment. These are the perfect way to escape your collegiate academic and social obligations and retreat into your own world. Every rising Freshman should have killer headphones that are stylish, or maybe even a fashion piece. I have become particularly fond of M & D's collaboration with Leica, which produced stylish and precise headphones! Rarely are presents wrapped at home and delivered by hand. That is what makes them so thoughtful in this world of Amazon, online shopping, and drop delivery. All one typically needs to do is include the add gift wrapping option and a gift note (receipt). However, if you want to go the extra mile to acknowledge all the hard work of a graduate who slogged through 12 long years of school, go visit Wrap My Face. 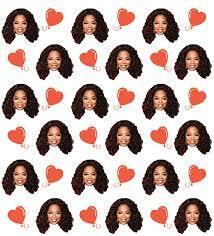 They have created the ability to customize wrapping paper with your (or someone/something else's face) on a variety of different designs. Imagine the possibilities! You can even forgo the card if done properly! Good riddance and bon voyage kids, you're headed out of the nest in style; consider Dyson Hot + Cold, Drunk Stoned or Stupid, Masters & Dynamic Headphones, and Wrap My Face Found! Bars, Apps, TechnologyBryan Verona May 31, 2018 Summer right!